An often mentioned industry giant, Playtech set standards in online casino game development that many have followed. Active since 1999, Playtech is a stone-solid iGaming brand that has fathered high-quality slots and an admirable assortment of other successful casino games. 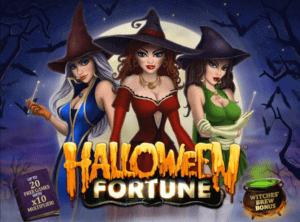 Playtech casinos contain fun games with excellent payouts, attractive progressive jackpots, terrific branded Playtech slots and lifelike live dealer tabletop games. Definitely one of the leaders in the business, the Playtech casino software provider does not plan on stepping down from its pedestal. On the contrary, they have a strong presence in over a dozen markets, a highly regarded poker network, prestigious bingo rooms and a cutting-edgePlaytech mobile casino platform. Let’s have a closer look at the Playtech casino software provider and discover the best Playtech online casinos. 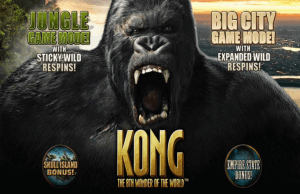 Check our collection of free Playtech slots and play free demos! We have listed all the best Playtech slots online and you can play them for free right now. Check this Playtech casino list for some of the best Playtech casinos online. We have listed all the best Playtech online casinos! Software solutions at Playtech casinos are, without exception, at the top of the league. The company never wasted a single year and always added something interesting to its creations. Partnered up with nearly one hundred casino websites and gaming rooms, the Playtech software provider operates on firm foundations and an expanding vision for the future. Initially based on the Isle of Man, the brand became part of the London Stock Exchange, went public in 2006 and gained immense credibility among the audience. Playtech slots are developed with players’ individual preferences and style of play being taken into account, which makes them unparalleled in the online gambling world. Over the years, Playtech casinos have showcased numerous turnkey solutions developed by the dedicated teams of software engineers and designers, making their games an obvious choice when it comes down to which product line one should choose. In nearly two decades of its existence, Playtech has won many awards and recognition for its continuing contributions to the true casino experience offered online. A great deal of Playtech-powered casinos benefits from mobile gaming and their easily integrative suite of mobile-compatible games. On a wider scale, the company continues with acquisitions, partnerships and licensing agreements with the purpose to provide even more high-quality content to its customers. The extensive, constantly growing portfolio contains over 500 Playtech slot games distributed across reputable and trustworthy gaming hubs, often seen as the best Playtech games online. 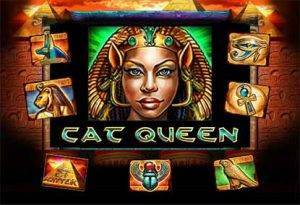 Good with classic slots titles, Playtech excelled in the fields of video slots and progressive jackpots. You’ll find intriguing titles which were developed as unique in-house creations, but also a lot of slot machines that came to life due to favourable licensing agreements with acclaimed studios and media houses like DC Comics, MGM, HBO and Universal. So what are some of the best Playtech slots? 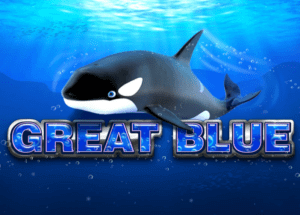 Great Blue, Stravaganza, Wild Viking, White King, Wings of Gold, Tropic Reels, Jackpot Giant and Funky Fruit Farm are Playtech slots through and through. Their names indicate various themes and you will find them at Playtech casinos exclusively. Beach Life and Gold Rally are popular due to their massive progressive jackpots. In fact, Beach Life is a highest paying Playtech slot to date, with £5.2 million, won in 2012. The true attractions are branded Playtech slots. 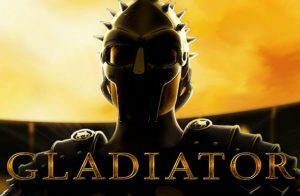 The Sopranos, Top Gun, Baywatch, The Mummy, Rocky and Kong: The Eight Winder of the World and Gladiator are some of them. 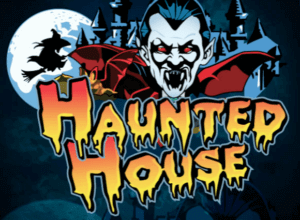 Themed around successful films, these slot machines borrow characters, backgrounds and music from the original material, adapting successfully one form of entertainment into another. 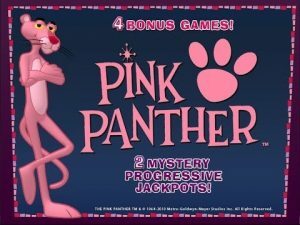 Pink Panther and Monty Python belong into the category of licensed slots as well, with a high dose of popularity. 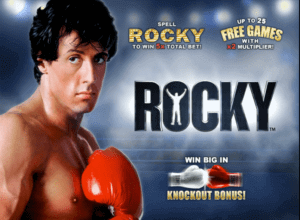 More recently, since the pooled Marvel network of slots was retired, Playtech launched over a dozen attractive titles to compensate. DC fans can take pleasure in several Batman-themed online slot machines, but only retro Batman fans will be familiar with the Caped Crusader from the 60s. Batman and the Joker Jewels, Batman and Catwoman Cash and Batman and Mr Freeze will offer you progressive jackpot rewards and over a thousand ways to win in the base game! Talking about progressive jackpots, we have to mention the Age of Gods series. It contains the following slots: Age of the Gods, Age of the Gods: Fate Sisters, Age of the Gods: Furious 4, Age of the Gods: Goddess of Wisdom, Age of the Gods: King of Olympus and Age of the Gods: Prince of Olympus. They all share a progressive jackpot prize pool, crisp graphics and brilliant design. 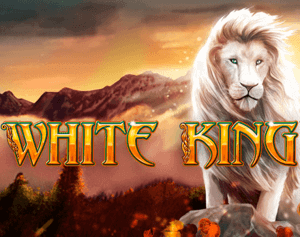 Climb high to the top of Mount Olympus and share riches with the gods themselves in this exciting epic adventure taking place in almost every Playtech casino on the web. When you use an online casino to play your favourite mobile video slots you want to know you’re dealing with a trustworthy partner – and that’s what the relationship is; you’re handing money to these sites, and trusting that they’ll deliver to you a safe, honest gaming experience and pay your winnings in a timely manner! You can’t do much better than to take your mobile browser to a Playtech mobile casino site. Playtech is the biggest provider of online gaming software. They’re traded on the London Stock Exchange – not that that’s a guarantee of a complete moral fibre of course! – and have been in the business since 1999. While you may well have seen Playtech badged onto games that you’ve played, the company might also be providing the software that makes the whole site you love work. They make games like the Avengers, the Age of Gods series, Superman tie-ins, Gladiators and around 600 more slots. The company owns a large number of smaller studios – including GECO Gaming, Eycon, QuickSpin and more – too. They also provide live dealer casino games, sports betting infrastructure, fantasy sports betting, and more. Playtech doesn’t just hoover up other companies, it also innovates, and that has included pioneering in the mobile scene to make casinos work on your iPhone and other iOS devices, Android phones, Blackberrys, tablets and other devices. 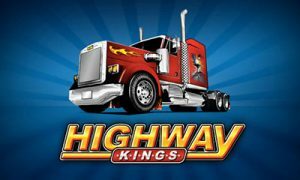 The company is currently heavily pushing its One solution for casino owners, which offers a complete delivery system, including payment and licensing help, games, marketing… yeah, the whole deal. This might not even be apparent to the front-end user of the mobile casino site, but it’s good to know that Playtech is delivering quality new gear, and you should – as a result – enjoy your time at Playtech mobile casinos. While we snarkily noted that not every company listed on the London Stock Exchange is a model of perfect moral behaviour, it is worth noting that Playtech is completely licensed, legit, and legal to play in the UK. When you log onto a Playtech casino on your mobile you should get an honest and straightforward experience. Playtech not only produce hundreds of games, but they also offer a big range of gaming systems to casino operators. That’s all by the by for most casino players, who are most interested in the actual experience of playing online. For those players, Playtech Live is a brand worth keeping an eye on – it’s Playtech’s live casino dealer system and you’ll see it at a large number of Playtech online casinos. The Playtech experience is – the company itself says – very much based around personalising the game room to players. This is designed to bring in big spenders. That’s right, Playtech Live casinos are trying to match the VIP room in an actual casino, in order to get big spenders enjoying a luxury experience that encourages you to play and pay. Augmented reality is a big feature of this high-tech appeal, which Playtech likening the experience of playing in an “entirely new dimension”. There’s a maximum of seven tables in a Playtech Live experience. Five different sorts of blackjack. One baccarat table. And a roulette table. The roulette in Playtech Live is a single-zero or European-style game, offering better value for players. A lite version plays at a faster pace. Speed Roulette is even faster! Baccarat is the go-to game for VIP players. It’s often played in private rooms in real-life casinos and it attracts big spenders like nectar attracts bees. The Playtech Live experience is a seven-seater game with real live dealers that know the game inside out. A Squeeze version offers lots more camera angles for an even more realistic experience. VIP Baccarat is immersive; Mini Baccarat is cut down and can be played while you enjoy other betting experiences. Everyone loves blackjack! That’s the impression you get from Playtech, who dedicate most of their effort to this favourite card game. Their experience is based on eight decks of card and a real croupier flipping the cards onto a real table. Poker comes in in the shape of Casino Hold’em, again, offering a live dealer experience with real players, real people, and real excitement. Playtech Live really does live up to its promises, and if you fancy the experience of playing in a live casino but have never had the chance, this really could be the next best thing.